You'll find TESCO Superstore situated at a prime spot on Lon Parcwr, about 0.25 miles north-east from the centre of Ruthin (by Allotment Gardens and Craft Centre Car Park). The store is fittingly located to serve patrons from the districts of Llanbedr Hall, Rhewl, Llanynys, Llanfair Dyffryn Clwyd, Hirwaen, Pentre Llanrhaeadr, Efenechtyd, Bontuchel, Llanfwrog, Ruthin, Gellifor and Llanrhaeadr. Doors are open today (Thursday) from 8:00 am to 10:00 pm, for those who'd like to drop in. 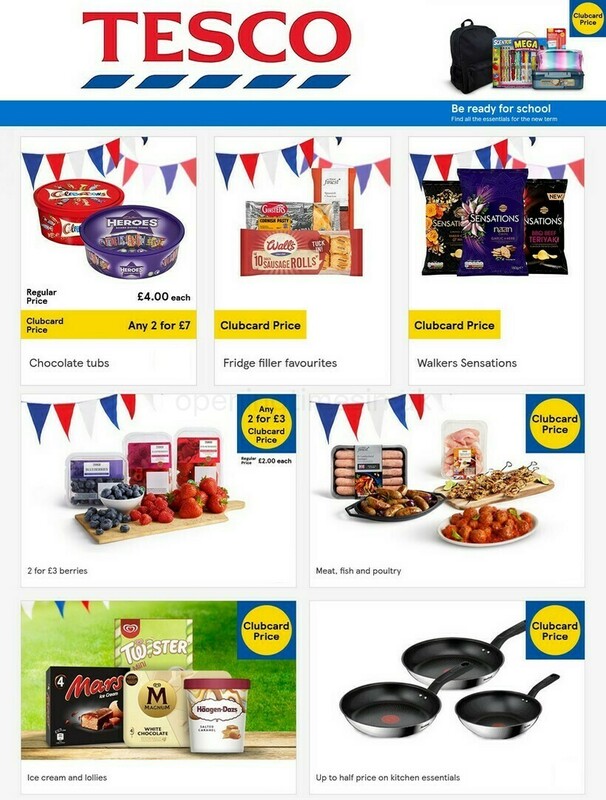 Refer to this page for the specifics on TESCO Ruthin, including the business times, store address, phone number and more information. Visit your local TESCO Superstore branch in the vicinity of the roundabout of Station Road, Market Street, Wern Fechan, Lon Parcwr and Park Road, in Ruthin, Clwyd. Just a 1 minute drive time from Canol-y-Dre, Green Field Road, Ffordd Celyn and Ffordd yr Onnen; or a 2 minute drive time from Well Street, Rhos Street, Bryn Goodman, Castle Street and Clwyd Street. The postcode for Satellite Navigation is: LL15 1BB. Buses frequently operate to Wernfechan/Wern Fechan and Lon Parcwr/Tesco. Nearby services include the 1, 2, 71, 73, 76 and X1. The store is a short walk to Ruthin Precast Concrete, Coed y Fforest, Ruthin Golf Course, Playing Field, Ruthin Town F.C, Sewage Works, St Peter's Parish Church and Rhos Street School. Currently, TESCO operates 1 supermarket in Ruthin, Clwyd. Click on the following link for a complete directory of TESCO supermarkets near Ruthin. Please note: public holidays may result in revisions to the regular working hours for TESCO in Ruthin. In the year of 2019 it includes Xmas, New Year's, Easter Monday or Bank Holidays. To get more details about holiday opening times for TESCO Ruthin, visit the official website or call the customer service number at 0800 50 5555. The Opening Times in the UK team's intention is to supply you with the most up-to-date information. If you found any discrepancies or errors in the place of business address or operating hours for TESCO in Ruthin, please use this form to report a problem. You can also assist other customers by stating your opinions of TESCO.